The capital city of Karnataka, Bengaluru is the main center of India’s whole high-tech industry. Moreover, the economy of this city is an important part of the Indian Economy as a whole. Many well-established and successful high technology firms such as Infosys, IBM, Deloitte, Accenture, TCS etc. have led to the exponential growth of Information Technology or IT industry in entire India. As the number of technology-based firms is increasing day by day, the number of people, working in different IT firms in Bengaluru, is also increasing. This is the main reason for the increasing population in Bengaluru. Surprisingly, the people working in Bengaluru’s IT industry are frustrated, irritated, and confused. Most of the IT guys in Bengaluru are leading a meaningless life. There are different reasons because of which the IT people of Bengaluru as facing problems to lead a healthier and happier life there. Lest find out some answers behind this! Most of the IT people live without families in Bengaluru: Though Bengaluru is the center of most IT firms in India; people from different locations come here to work and earn. As most of the IT people in Bengaluru lives without their families, they lead a lonely life. For days, they stay with their colleagues or friends. This type of living makes the IT guys frustrated and irritated. Their mental harmony is automatically compromised and they have to lead a meaningless life! Bengaluru’s heavy traffic and busy lifestyle: Most of the IT people in Bengaluru lives here only to work and earn. As said earlier, the increasing population of Bengaluru is the main reason of traffic problems there. During offing hours, the narrow roads of Bengaluru get filled with traffic jam. Plus, most of the people focus on working instead of enjoying their lives. Because of the busy lifestyle, most IT guys in Bengaluru fails to ease out their regular lives in Bengaluru. This makes their lives hectic, tiresome, and meaningless. People don’t know what else to do in their free times: While working in IT firms, the employees need to keep updated themselves about newly emerging technologies. Some of them think about pursuing higher studies while some try to keep updated else they might become obsolete. Some of them keep on dreaming about living a better life after few years. Though the IT guys in Bengaluru go on trips with friends, they don’t find out a strong motto to lead a better life. This makes their lives meaningless. 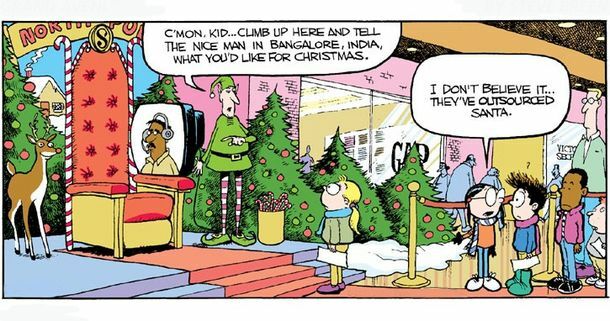 Though, the IT guys are getting used to this meaningless life in Bengaluru. But, this is also making them frustrated and irritated all the time. They can’t focus on their work as well. Indeed, Bengaluru offers great life-changing opportunities to young engineers and IT people but most of them lead frustrated lives there. In Bengaluru’s busy lifestyle, where is the time for relaxing? Slowly, constant frustration and confused lives grasp the IT people’s mind and they completely fail to lead a better life. I GUESS YOU ARE FRUSTRATED WITH THE GROWTH AND PAY AND LIFESTYLE IT GUYS LEAD. FIRST SEE IN MIRROR YOU WILL KNOW REAL SCENARIO. IT COMPANIES AND IT GUYS ARE ONE’S CONTRIBUTING MAJORLY FOR TAX FROM WHICH YOU GETTING YOUR BASIC AMENITIES FROM GOV. The comment as well as the article shows the level of true education among your lot. Money alone will not matter if your jobs and leisure have no meaning. “makes their lives meaningless” Does the author know the meaning of life? Please dont type anything as you wish. Most of them enjoy their single-hood and living alone. No one knows where this country is heading with the obsession of materialistic values. There is not much spirituality left in our country anymore. India has become a western society completely. We Indians have become machines working almost 24 hours a day. Common Indian family just wants to earn money and show off their material belongings such as large house, large SUV, first class school for kids, jewellery, gold, etc. With 1.3 billion population and no population control, materialistic values will only get worse between Indian masses as working hours will only increase due to intense competition between the masses. Wow! What a juvenile write-up! !